This is a guide to help you with coordinating a Neighbourhood Watch in your road or street. Every watch functions around the role of the coordinator and if you have a deputy or assistant to help all the better. Your time – Every Watch is different. How much of your time can you spend helping the Watch, helping members will depend on your own personal circumstances. Whether working, busy with family or maybe retired or possibly busy with interests away from home. The minimum you should do is to keep in contact with your members. This ensures you are able to keep an ‘ACTIVE WATCH ’. Contact every individual household in the chosen Watch road or street to invite and support them to become members. Supply them with a leaflet. Act as a point of contact for the police, receive information from them and cascade it between member households. Keep a record of members and keep it up to date. Help members with any concerns they may have and encourage issues of crime and disorder to be resolved through contact with the police or council or other organisation. Encourage responsibility for crime prevention by members to improve home and personal security. Encourage neighbours to be neighbourly, say ‘Good morning’ to others in the street. Good neighbourliness encourages members to share crime reduction information and keep an eye on each other’s homes and possessions, giving special consideration to vulnerable neighbours. Aim for an ‘Active Watch’, one were each member household has looked at their own home security and taken steps to put in place crime prevention arrangements. Each member household receives your messages and e mails and returns information back to you. They are passing on their concerns about neighbourhood safety and reporting suspicious behaviour to the police and crime stoppers as soon as they can and afterwards notifying you. Ask all your members to sign up to e Cops as a neighbourhood watch member. Remind them to notify you of any changes in phone numbers, e mail addresses and should they move away. Welcome those who move into your road, make them feel welcome and explain how the Watch works. Ask members about their concerns around safety and crime, are there any common issues in the street. Make a list and your Watch can look at tackling some of these if you can. Seek advice if necessary. These are examples of the things you could consider doing. Those shown at the top of this list are what most coordinators should try and achieve. You can access help and advice from the Neighbourhood WatchPeterborough on info@peterboroughnhw.co.uk and the police crime reduction officers via 101. Neighbourhood Watch schemes come in all sorts of shapes and sizes. The principle being that you do it your way taking into account the ‘things you can do’ shown above. Everyone is equally different. Remember that neighbourhood Watch is a partnership mainly with the police. Your role includes acting as the point of contact for your Watch. Promote the Watch with new neighbours, and those you come into contact with. Encourage the exchange of information between the community and the police. Look at the information received from the Police and pass on to your members. Assist the Police, Council and partner agencies in their objectives of preventing crime and disorder. Help and supporting victims in a neighbourly manner, and reducing the fear of crime. Only coordinators may pass an agreed code name when calling 101 for police to provide a non-urgent incident response. The facility should not be misused. If your circumstances change, for example change telephone number, email address – you can alter these on the OurWatch website or through e Cops. If you move away or wish to retire from the role let the Association know by e mailing info@peterboroughnhw.co.uk Take a look at ‘ Useful documents to down load for a copy of a standard letter you may print off for delivery to neighbours notifying them you are moving and a new coordinator is required. You become an AREA COORDINATOR when you coordinate more than two Watches in your area. IMPORTANT – Some time and commitment is required by each coordinator. Naturally, some can afford more time than others. Coordinators are not always available. It is highly recommended from an early stage to have help in the form of a deputy or more. Assistance and help from other member households helps sustain an ‘Active watch’. Linking up with neighbouring Watches can be very helpful too, sharing notes, ideas and identifying local problems and solutions. The establishment of groups of Watches from an area and meeting to jointly liaise with local officers is encouraged. Contact the Peterborough Neighbourhood Watch Association for assistance. 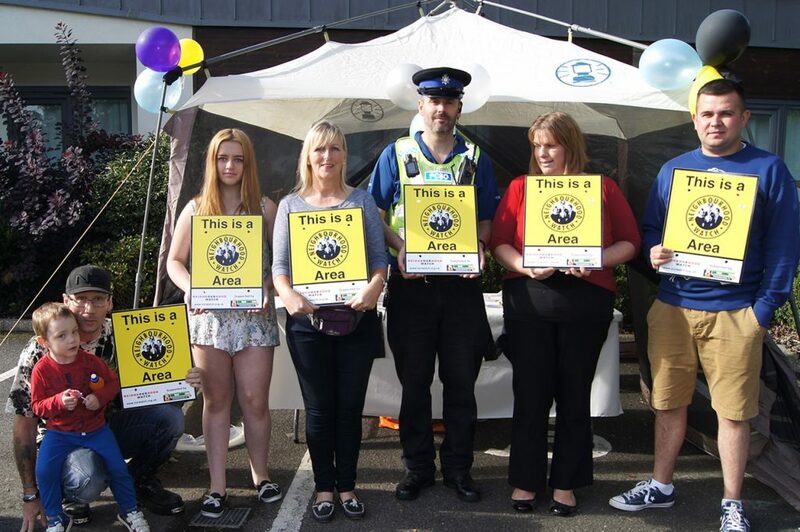 Neighbourhood Watch helps people to work together to create communities where everyone feels safe. 0 Comments on "Role of the Watch Coordinator"